When you purchase a Bishard Home, you’re not only getting good value, you’re getting a distinct style - a blend of traditional craftsmanship and timeless design with a coastal flair. All of Bishard’s new home communities are located near water throughout Virginia Beach and Norfolk, whether it's the Atlantic Ocean, the Chesapeake Bay, numerous lakes or a scenic pond. 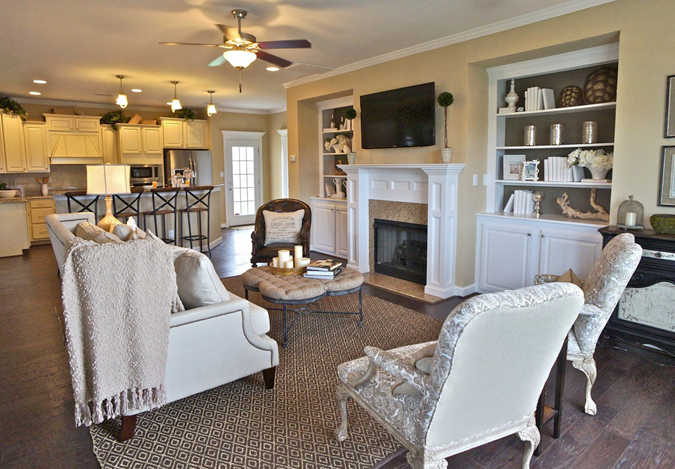 Bishard Homes' open floor plans are casual and elegant as shown in this home at Ranier Village at Asheville Park. The Bishard Home style is based on Southern (Charleston-influenced) and Coastal Living architecture. As with many Charleston homes, Bishard’s single-family homes and condominiums feature high ceilings for warm air to rise. Casual, open floor plans are light and airy allowing for cross ventilation from front to back. Decks and porches on second and third levels enable you to enjoy cool breezes. The floor plans are designed for sufficient use of space which not only saves you money, it makes each home feel like a larger, more expensive home. On some of Bishard’s three-level homes, the main second floor encompasses the entire length of the home while each floor has plenty of windows to capture the views and embrace natural light. Since kitchens are the central area of any home, there is plenty of countertop space - ideal for cozy, casual meals as well as for entertaining larger groups of friends and family. 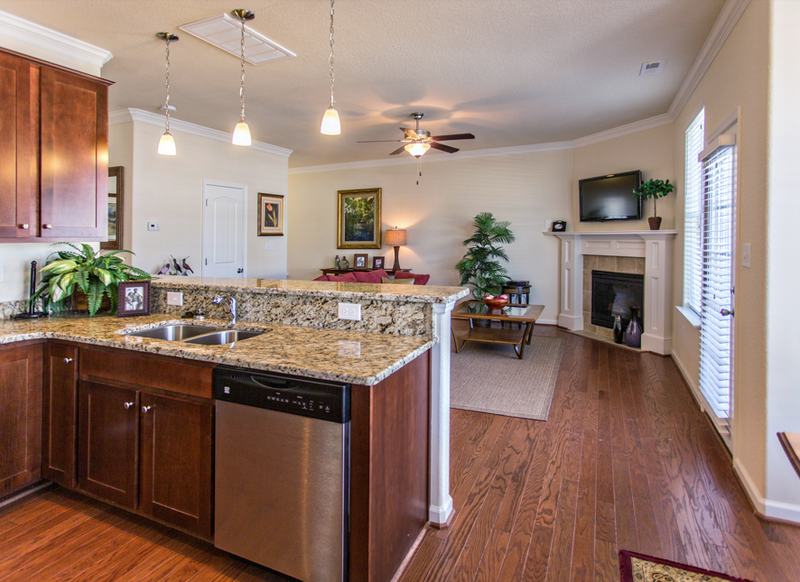 Open and inviting living and kitchen areas are perfect for family living and entertaining. 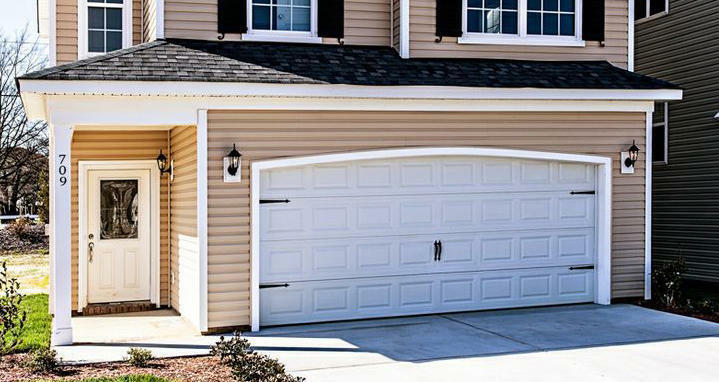 Outside, scrollwork, wrought-iron detailing and arched carriage-style garage doors add to the charm. Covered porches and varied shades of exterior siding on each home capture the personality of Charleston’s architectural character while roof gables are reminiscent of craftsman-style beach cottages. 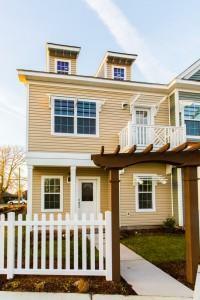 James Hardie exteriors are known for durability and energy-efficiency. Carriage-style garage doors, ironwork and exterior detailing provide personality on this home at Willow Pond.